HTMLcut is a PSD to HTML slicing service - we convert images to HTML5/CSS3 markups, WordPress, Joomla and other CMS themes. 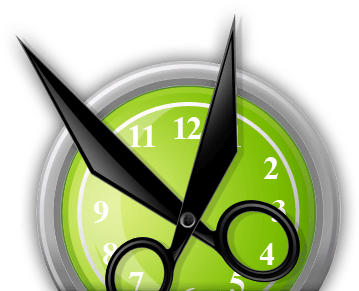 HTMLcut makes website coding easy - and saves you time and money for new designs, new ideas, and new clients. If you have any questions or need a free quote, don't hesitate to contact us. Nowadays PSD to HTML services are very popular and are used extensively. But no one would ever exploit them if they were not able to give any benefits. So what do you get when you hire an external company to convert your designs (i.e., digital images in Adobe Photoshop *.psd, *.ai, etc. formats) into HTML/CSS code? Before starting discussing benefits themselves it is reasonable to consider in brief who PSD-to-HTML companies' clients are. Bloggers, networkers, websites owners -- typically their orders are one-off. 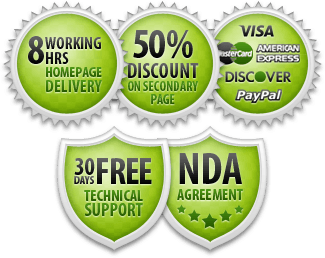 Benefits of using PSD-to-HTML services are somewhat different for each of those groups. Better honed company's business focus. Needless to say that to know the basics of HTML or CSS and to have hands-on experience and to keep abreast of the latest tendencies is like apples and oranges. So, if HTML/CSS coding isn't your main focus in web design, then hiring a provider, you get rid of in-depth study of HTML/HTML5, markup debugging, finding and collecting CSS3 tricks and tutorials. As a result, an opportunity to gain more money -- not out of place in these uncertain times. Authority -- HTML5/CSS3 templates and themes are trendy now. Of course, the list is not completely comprehensive. But even in that form it evidently shows that there are enough weighty reasons to use PSD to HTML/CSS conversion companies. 2. PSD-to-HTML conversion services - A new fad or a new market need? I think the work was excellent and we will be using you again for future projects. Thank you for rushing the project and working with our crazy deadline. You offer a great service – saved me a fair bit of time not having to do the HTML cutting myself. I plan to use you again for certain. You guys did a great job, it fits well on low resolutions and is accordingly to the design. Thanks! Excellent, thank you very much for the speedy service. Much appreciated. Thank you for the fast delivery of xhtml + css to NP3Design.com HTMLCut manage to understand all the specs I’ve given them. I am really thrilled over the work that HTMLCut delivered. I will use HTMLCut again! It's my third order this month - two psd to xhtml/css conversions and now a WP theme. I'm definitely impressed. You guys rock! Wow, super fast service and everything looks great. I'll be using your service again! HTMLcut provides professional PSD to HTML CSS services, as well as PSD to CMS (WordPress, Joomla!, Drupal, etc) conversion and implementation. If you have any questions, suggestions or comments on our PSD to HTML services, please don't hesitate to send them to us. We will be happy to help you as well as make our service more useful and convenient. Thank you in advance for your interest and support! Thank you for contacting us. We will reply as soon as we can. After submitting your first order you are registered as an HTMLcut's user. The support system sends you login information (to the email address entered in the order form). As a registered user, you can track the progress of your order execution. Also, you can see a discount for your future orders.